Less than a day after Parliament adopted landmark legislation to legalize recreational marijuana, Prime Minister Justin Trudeau’s Liberal Party has quietly started using the legislation to fundraise. Less than a day after Parliament adopted landmark legislation to legalize recreational marijuana, Prime Minister Justin Trudeau's Liberal Party has started using its passage to raise funds. 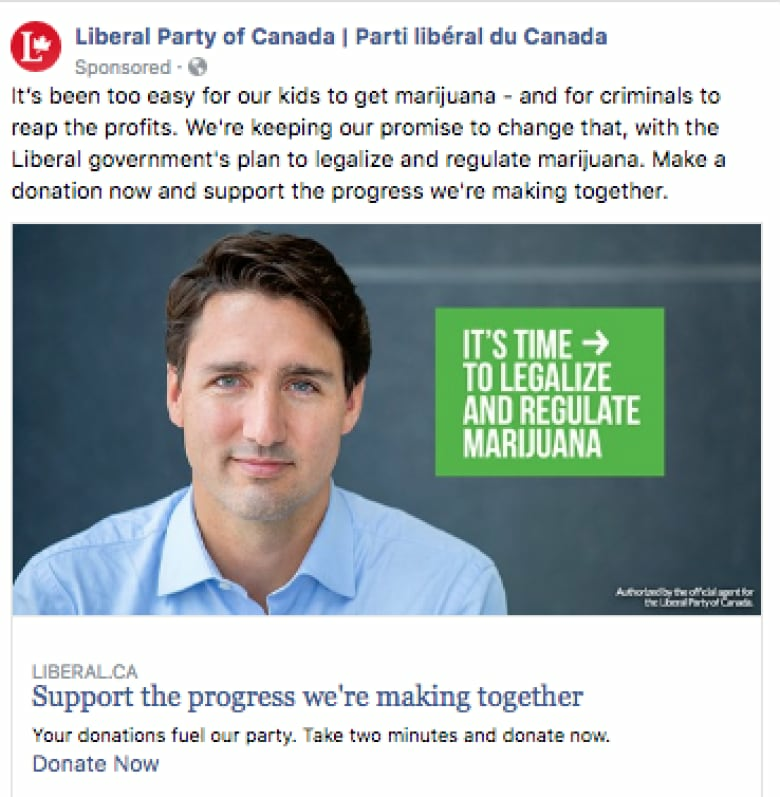 In a series of Facebook ads, the Liberal Party points out it kept its campaign promise to legalize recreational cannabis use. "It's been too easy for our kids to get marijuana – and for criminals to reap the profits," say the ads that began appearing Wednesday. "We're keeping our promise to change that, with our plan to legalize and regulate marijuana. Make a donation now and support the progress we're making together." While some ads show an image of a marijuana leaf, others feature a picture of Trudeau. Clicking on the ads take you to the Liberal Party's donation page, which also has trackers for Facebook Custom Audience and Facebook Connect — tools that allow Facebook to direct targeted ads at you in the future. According the ProPublica's Facebook ad collector, the ads are microtargeting Canadians over 18 years old who have visited the Liberal Party's website or used one of its apps. Social media sites like Facebook allow advertisers to microtarget ads to particular voters or groups, making them very difficult to see unless you are in the group being targeted. Ads from political parties often centre on specific political issues. CBC News has partnered with ProPublica, a non-profit U.S-based investigative journalism organization which developed a Facebook ad collector, which gathers ads from the Facebook feeds of people who agree to download its browser extension. ProPublica's Facebook ad collector allows CBC News to not only see the ads running on Facebook but also who the ads are targeting. The Liberals also sent out a fundraising e-mail Wednesday morning, calling the marijuana legislation, Bill C-45, "a smart, evidence-based plan" and urging supporters to donate to help the Liberals defend marijuana legalization from Conservative attacks. "No one ever said this would be easy, and just like Stephen Harper did, Andrew Scheer's Conservative Party has been working overtime to oppose this plan and oppose this legislation," the email reads. "We know they won't stop now. Can you chip in to support Justin Trudeau and the Liberal plan at this important moment?" 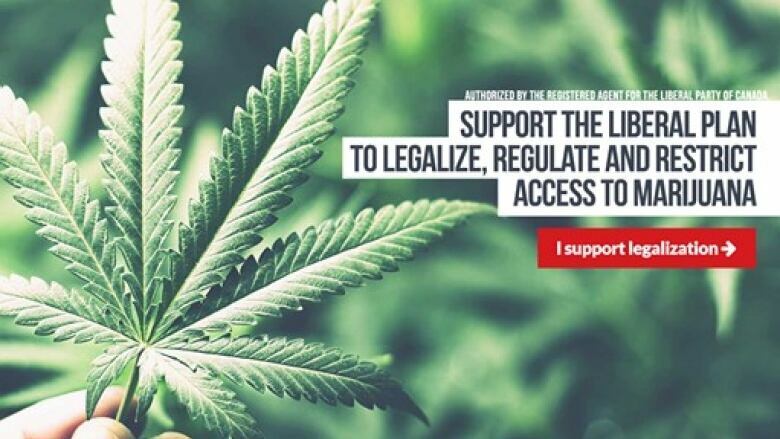 Braeden Caley, communications director for the Liberal Party, said the party has featured the issue of marijuana in its advertising off and on since early 2017 and the ads are in keeping with what the government has said publicly. "This is an important promise kept from the Liberal Party of Canada's platform in 2015, and like a wide variety of areas where the Liberal government is delivering real change, it has long been included in the party's social media engagement with Canadians and in online advertising." 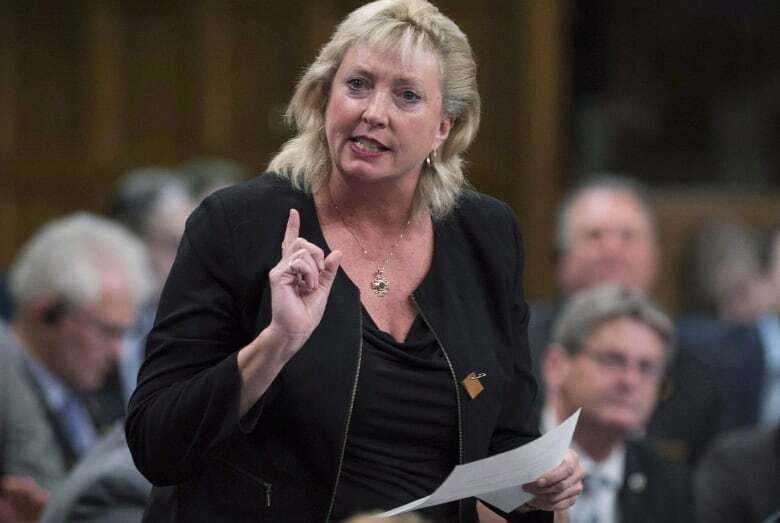 However, Conservative critic Marilyn Gladu says the Liberal Party's priority should be ironing out prospective problems with the implementation of the new legislation — not using it to fundraise. 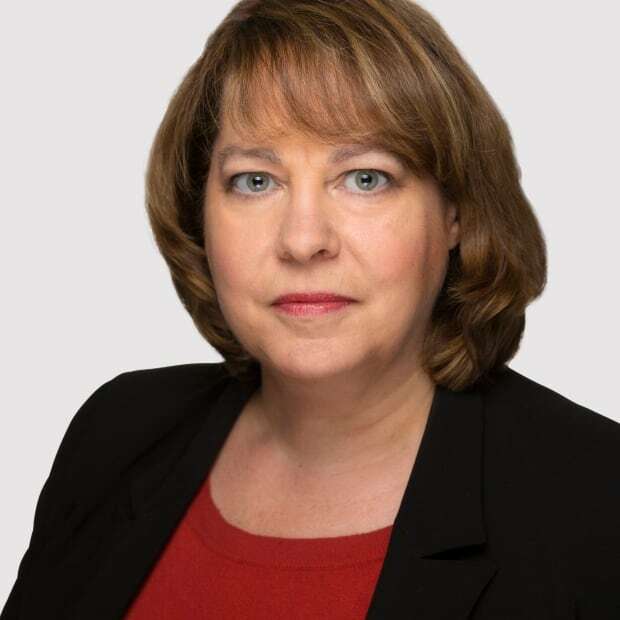 "I think it's terrible that the priority of the Liberal government is, after rushing this thing through, to fundraise off the backs of the legalization of marijuana instead of addressing the very serious concerns that were raised about how slow they've been with public education, about workplace safety, about the traffic death potential," she said. "It just seems that their priority is fundraising for the Liberals and I think that's terrible." Gladu said the Liberals trail the Conservatives in donations and "have been fundraising desperately." "They seem to take every opportunity to use what they do in government to raise money for the party instead of keeping the lines separate." A search of online ads run by the Conservative Party revealed one, in Mandarin, that attacks supervised injection sites and also criticizes the government's plan to legalize cannabis. The Liberals also provided screen captures of two other Conservative fundraising e-mails calling for donations to help fight the marijuana legislation — one from April 2018 signed by MP Karen Vecchio and another sent out in April 2017 by MP Kellie Leitch. 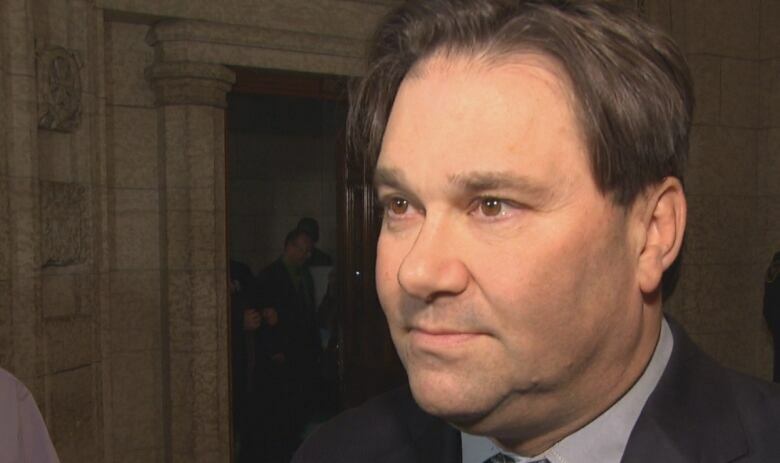 New Democratic MP Don Davies said the Liberal Party's decision to run ads the day after the legislation was adopted was "crass, inappropriate and (showed) misplaced priorities." He said it also violates the spirit of the legislation legalizing cannabis, which restricts advertising related to marijuana. "To me it seems a little bit inappropriate that the ink is not even dry on the bill and they're using cannabis in a marketing way for their own purposes," he said. Instead, he added, the Liberals should focus on pardons for people convicted in the past for possessing something that will soon be legal.